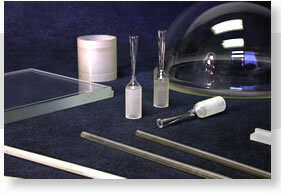 Glass Products Manufacturer: Sapphire Tubes & Domes | Rayotek Scientific Inc.
As a custom glass and sapphire products manufacturer, Rayotek has the flexibility to produce in low volumes, high volumes and to fabricate prototypes. 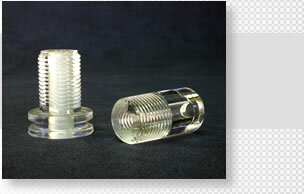 By combining our molding, grinding, polishing, machining and growing processes with our hot working and hermetic sealing capabilities, we produce a huge range of specialty shapes in sapphire, glass, and quartz. Our sapphire can be grown into a variety of shapes such as domes, tubes, ribbons and shells. 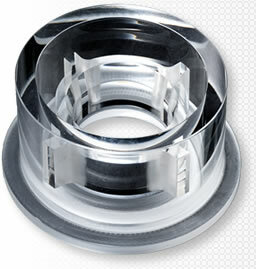 This characteristic allows shapes to be formed with minimal or no grinding. 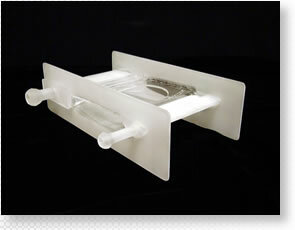 Rayotek is a glass and sapphire products manufacturer offering high-tech, high-end parts. 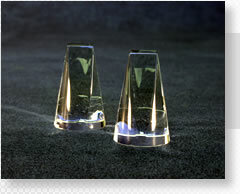 Our custom glass and sapphire products are developed using cutting-edge technologies combined with years of experience.